Went to the VCS 85th anniversary event yesterday, and had a good look at the EFE stand. Some will know they were taken over by Bachmann last year, and they have plans for a number of new models on existing castings, as well as, eventually, new castings. A model of Routemaster RM177 on the night 177 service from New Cross is due out this coming week. The 177 was an interesting anomaly in that during the mid 1970s, the daytime service used one person DMSs, but the night service was crew with Routemasters. EFE yesterday announced a new casting due next year - a Volvo Olympian/Northern Counties Palatine I. Initial liveries will be London Central (standard livery and Docklands), and Metrobus blue/yellow. I haven't seen anything on this Forum yet about EFE's recent release of RT3853. This is a reproduction of the last crew-operated vehicle to operate on Catford Garage (TL) route 75 on 25th February 1977. 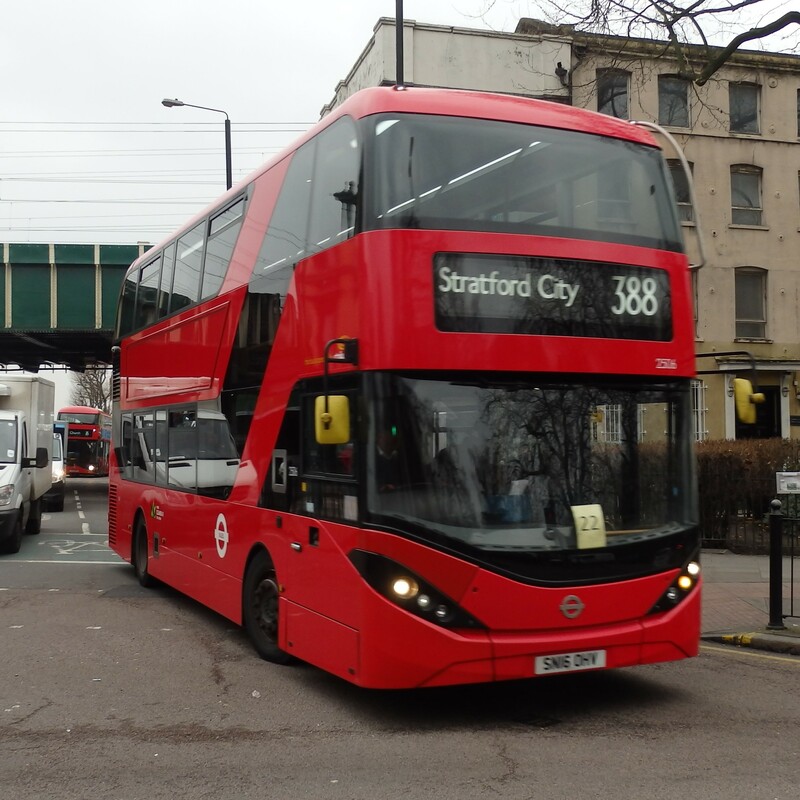 It is blinded for route 75 with CATFORD GARAGE destination and carries reproductions of the same adverts that RT3853 carried on that day. LT Museum shop has several in stock, as well as the RM177 model mentioned above.